WordCamps are casual, locally-organized conferences covering everything related to WordPress, the free and open source personal publishing software that powers over 25% on the web. WordCamps come in all different flavors, based on the local volunteer communities that produce them, but in general, WordCamps include sessions on how to use WordPress more effectively, beginning plugin and theme development, advanced techniques, security, etc. To get an idea of the types of sessions typically seen at WordCamps, check out the WordCamp channel at WordPress.tv. If you’re thinking of attending a WordCamp, this should help you know what to expect. 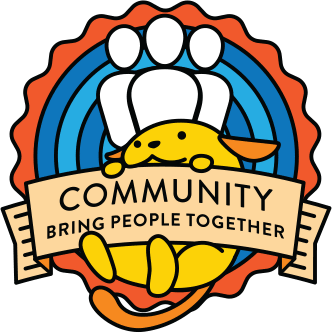 Look and see if there’s a WordCamp scheduled for your area! If you don’t see anything near you on the list, don’t fret. There may be something in the works that just hasn’t confirmed the date yet — you can subscribe to this page so you don’t miss even the announcement of even one WordCamp. If you’re interested in starting a WordCamp in your area, review the handbook and contact us to get started. Every WordCamp on the official schedule should have a Call for Speakers published with instructions on how to apply to speak. Find a WordCamp near you or contact WordCamp Central. Every WordCamp on the official schedule should have a Call for Sponsors published with instructions on how to apply to sponsor. Find a WordCamp near you or contact WordCamp Central. Every WordCamp on the official schedule should have a Call for Volunteers published with instructions on how to apply to volunteer. Find a WordCamp near you or contact WordCamp Central.